An Arabian Nights game released from whacky song from the animated Aladdin movie. It is also the name of progress that has been offered from Net Entertainment. This game is filled with all sorts of traditional items having ten slots of lines from the Middle East; even there is the sound of crickets that really fills the air when you are playing. This video slot has a Super Jackpot that gets raised with every bet that is made during the gameplay, until the winning combination is made. Arabian Nights is the other slot to add to that collection from where millionaires can be created at any instant by using the jackpot and win five reels, ten pay line slots. The theme of the game is Arabic as you can easily and probably guess from the name. The symbols on the reel fills a number of labeled tick boxes that comes in the form of a fez, magic lamps, tents, camels, and a random Arabian prince. The game triggers with the standard Scatter and Wild symbols. The Arabian Prince represents the wild symbol and possesses a huge ruby gem. The wild symbol to complete winning combinations also substitutes all other symbols but not the scatter symbols. And, double up any of the payouts that come from these combinations. Talking about the Scatter symbols, these symbols are the key to trigger the bonus round of free spins. In this slot the Magic Lamp acts like the Scatter symbol. The player gets awarded some free spins, if the player manages to hit three or more of these symbols. The player can get as an award of at least 15 free spins. During the free spins when winnings are achieved, the quantity of Magic Lamps also alters the multiplier value of winnings. So, always keep an eye and hope to get as many as possible. A progressive super jackpot is available in The Arabian Nights, which rises every time a bet is placed by the player and it can also be raised to extreme heights. Until the right symbol combination is made and the super jackpot is won this process goes on continuously. It will restart with a base amount, when a player wins the jackpot. In this way, there is always something to win from the jackpot. A player will have to get five wild symbols in an active win line to win the super jackpot of the Arabian nights. If you are not playing the maximum bet you still have the chance to win 10000 coins. The Arabian Nights slots can be played with maximum 10 win lines. You can play with a one coin minimum and one coin maximum multiplied by ten win lines that makes ten coins per spin, since there is only one bet level. 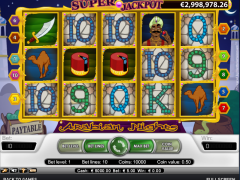 The minimum and maximum bet in this net entertainment presented video slot game, The Arabian nights are 50 cents and five euros respectively, since there is only one coin value. The Arabian Nights video slot is easy to play because there are limited possibilities. 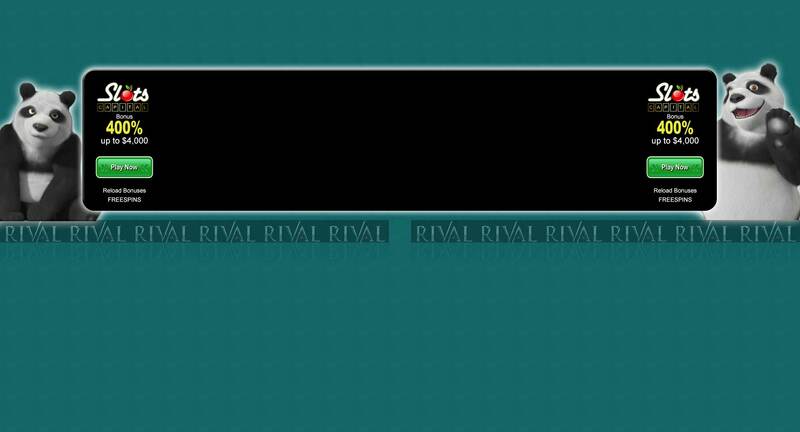 To set the number of win lines is the only thing to be done when you want to play the game. Click the bet lines button or one of the numbers on the two sides of the reels. Then, click on the spin button and the spinning of the reels will get started. And, if you want to enjoy the play of all the win lines just in one click, you choose to click the MAXBET button and immediately the reels will start spinning. Arabian Nights is one of the slot games that will be there in casinos for a long time.